Digital History is an aspect of historical research and methodology which is trending currently globally. We scholars in Africa also have being following the trend. And even our student have been benefiting from digital teaching aids we have being using. However, we need more collaboration with scholars in Europe to entrench digital history and teaching in African University. I personally welcome a collaboration with Institutions and individual to learn more on this and be able to transfer the knowledge gain to my students in Africa. Zurück Vorheriger Beitrag: Aufruf zur Beteiligung an Archiv-Umfrage: Welche zusätzlichen Informationen über die Quellen ihrer Forschung brauchen Historiker/innen? 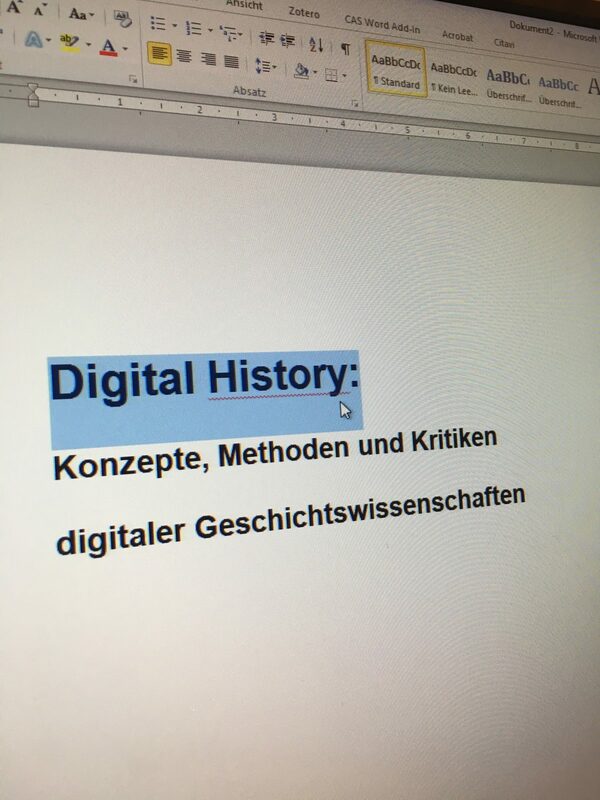 Weiter Nächster Beitrag: Digital History und die archivische Fachdiskussion: Ein blinder Fleck?